Team Dogz are proud to present to you the Trooper X. 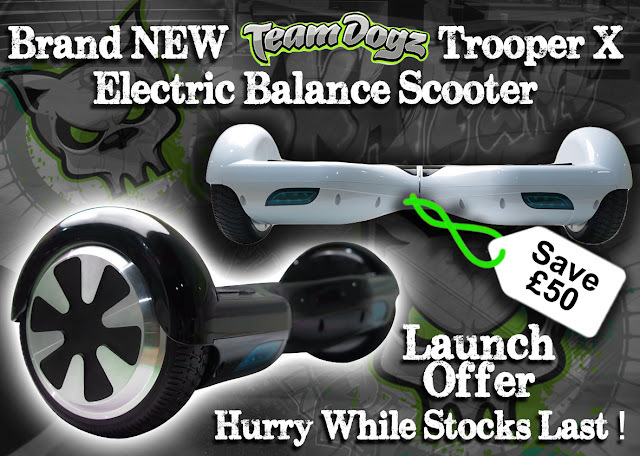 This is an electric balance board or hoverboard, a bit like a Segway but without the handlebars getting in the way. Powered with Samsung lithium batteries this balance board has two independent electric motors to help you glide effortlessly across the floor.